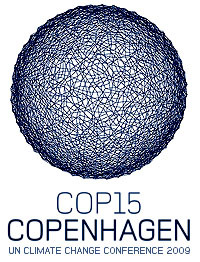 A couple of months ago — if not earlier — it became pretty clear that this week’s Copenhagen conference wasn’t going to produce the big climate treaty everyone had been hoping for. Speaking to about 200 people from various environmental groups, Pershing made the case that a non-binding political agreement — in which the world’s biggest emitters of greenhouse gases would pledge to take various actions to reduce their own emissions — would be more effective than a treaty establishing firm and legally enforceable commitments, according to several people who attended the session. As spin goes, I suppose this isn’t bad. It’s true, after all, that the prospect of getting 67 votes to approve a climate treaty in the Senate is piss poor.1 So perhaps this really is our only realistic alternative. Still, it’s the Obama administration’s biggest climbdown yet, and one that suggests that Obama believes Waxman-Markey is the best we’re going to be able to do in the near term. Unfortunately, he’s probably right. 1Though there’s always the possibility of ratifying it as an executive agreement with only 60 votes, as NAFTA and other international agreements have been.